Yet another time the CSF-Group invited participants of the Round Table at IHK Nuremberg. Topics presented in the 4th installment by now included current developments in Sanction list screening, Document coding, Export control as well as the Union’s Customs codex. 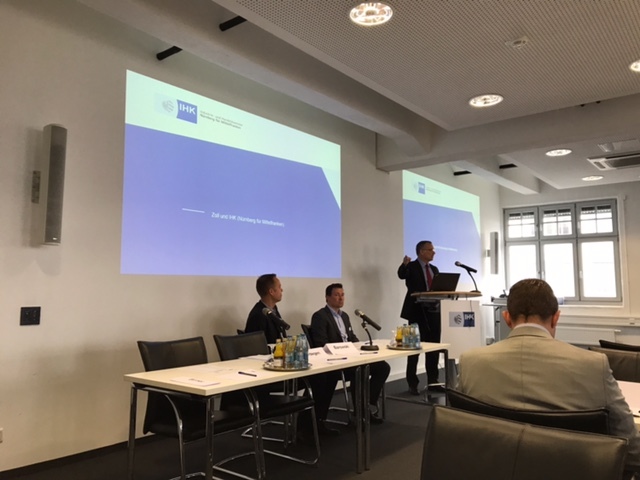 Alongside various presentations by representatives of the Federal Office of Economy and Export Control (BAFA) and the General Directorate of Customs Nuremberg, a vast number of local companies was present. Through practice-related presentation in connection with the CSF-Group’s software solutions the participants were provided with additional benefit for their daily work. The CSF-Group would like to thank IHK Nuremberg very much for being the host of this consistently well organized event. We would also like to thank all participants very kindly and are already looking forward to our “Anniversary-Round Table” next year.